Beautifully designed video loop that mimics the fireworks on New Year’s Eve, this one is conveniently made in purple which constitutes idealism and intuition. Set the right mood for your audience with this video loop, it's a video download not to be missed. 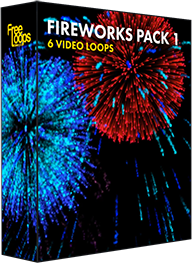 This video loop is part of Fireworks Pack 1.